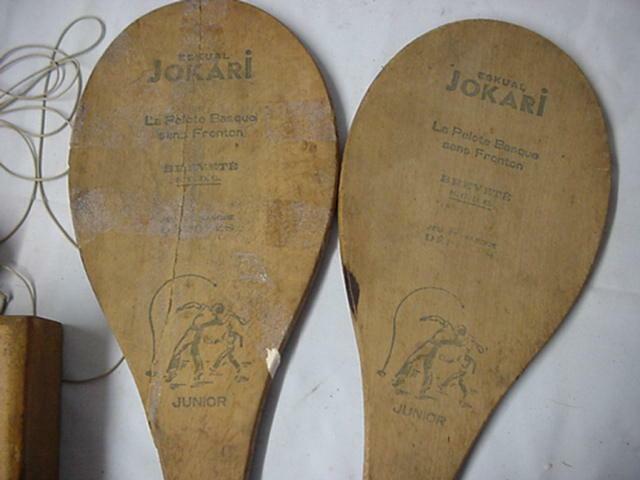 In the Basque region of France and Spain games evolved played on large courts using paddles or other implements to propel a ball toward a front wall back to the players who took turns returning the ball until a player missed and lost the point. 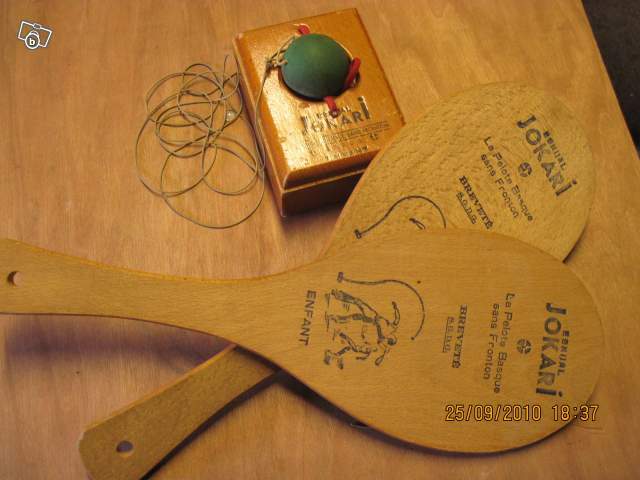 Called pelota vasca in Spanish, pelote basque in French, or eusko pilota in Basque itself, these games are the ancestors of frontenis and jai-alai as they are played in the Americas. 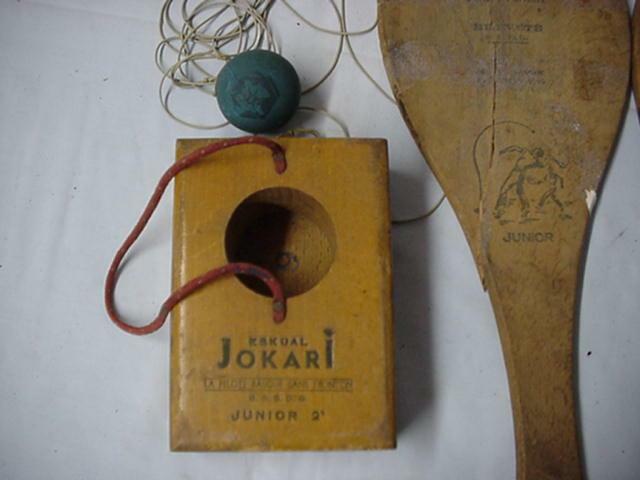 In 1938 in France, Pierre Georges Miremont patented a "sport toy" known as Jokari or Pelote. 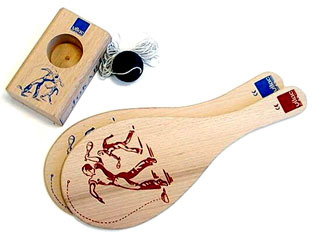 This was a further offshoot of these type of paddle-and-ball games, but instead of using a court, the ball is attached to an elastic cord which returns it to the playing area after being hit by the player with his/her paddle. 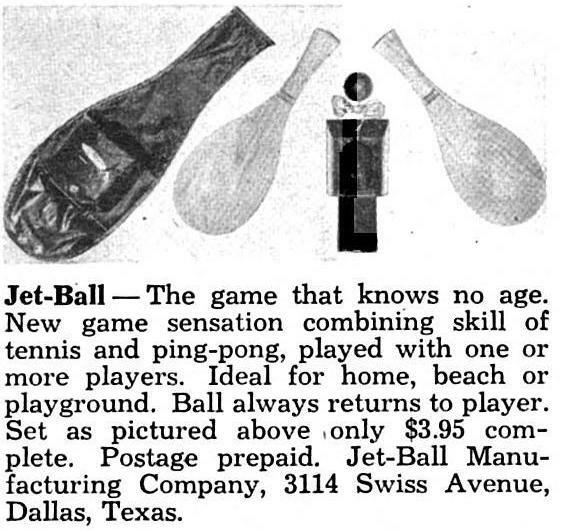 Miremont also applied for a U.S. patent for the game in 1939, which was approved May 12, 1942. See the patent in PDF format. 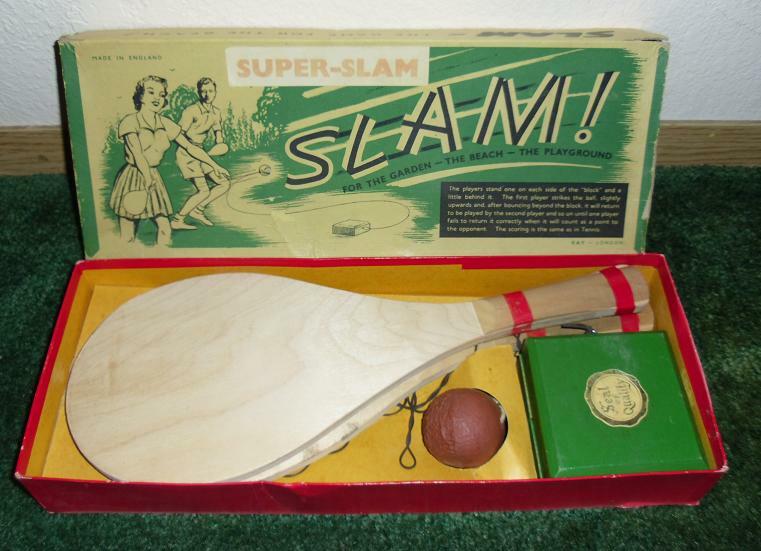 Shortly after Miremont's application, a Cuban named Angel del Llano y Fernandez applied for a patent on a similar game which was actually approved prior to Miremont's U.S. patent. 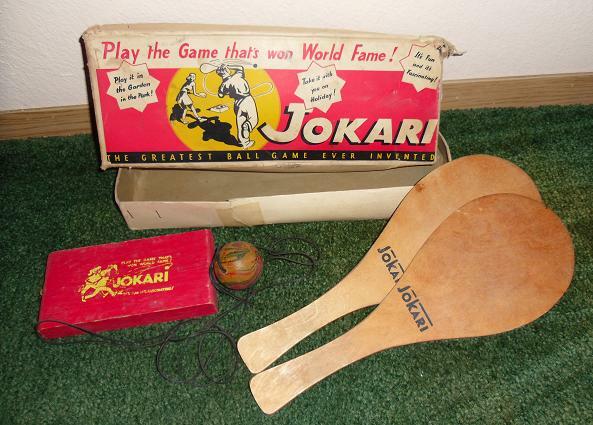 See Fernandez's patent in PDF format The Miremont family produced the game in France under the name "Eskual Jokari", which means basically "Basque Jokari", until 1958 when they were taken over by Chikitoys. 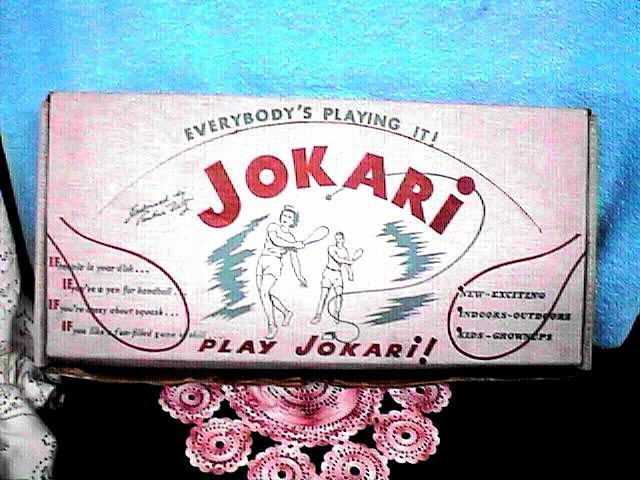 Jokari was imported to the U.S. and was apparently fairly popular in the 1950's. 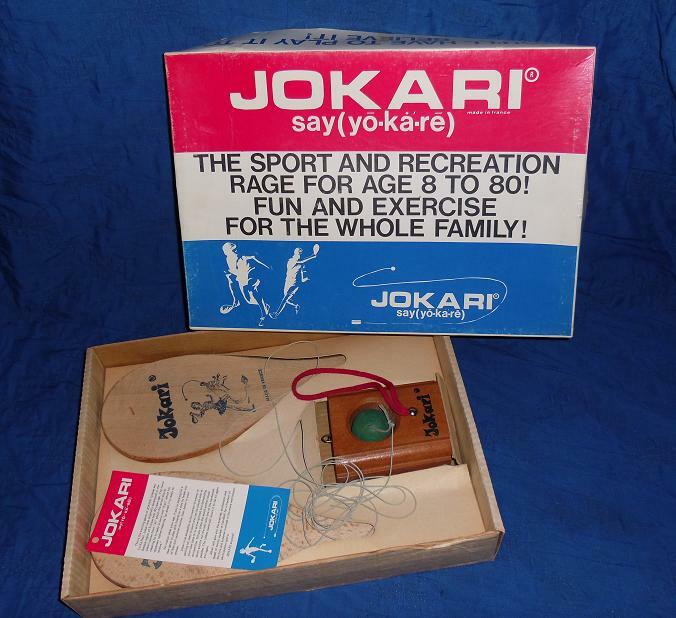 In the 1970's, Jokari/US was taken over by Samuel Ligon who was granted several more patents for the game's elements. 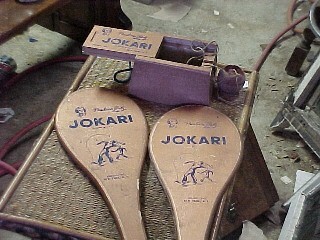 Jokari was sold in various forms in this country until the 1980's. 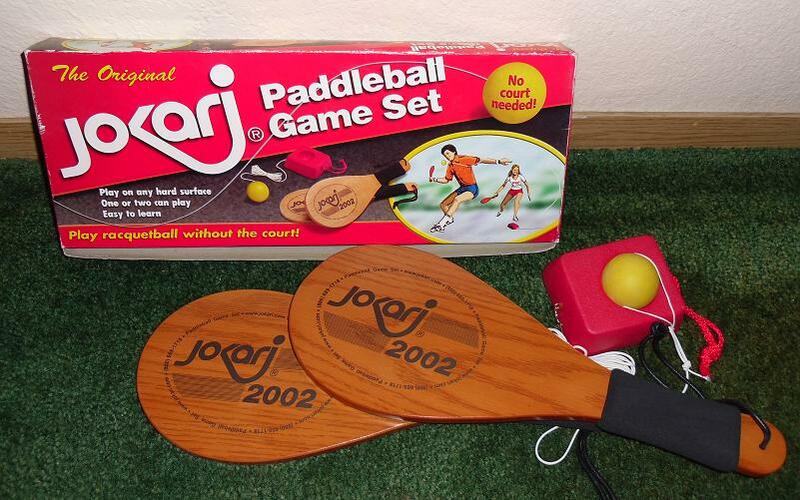 The company still exists, selling various household gadgets, but no longer produces this game. The rights to the name "Jokari" in France currently belong to Smoby. 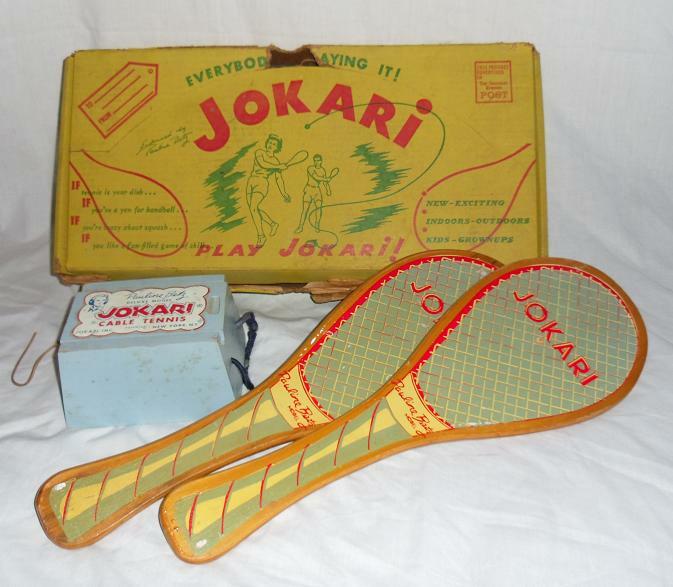 This may be the oldest Jokari set I have encountered. 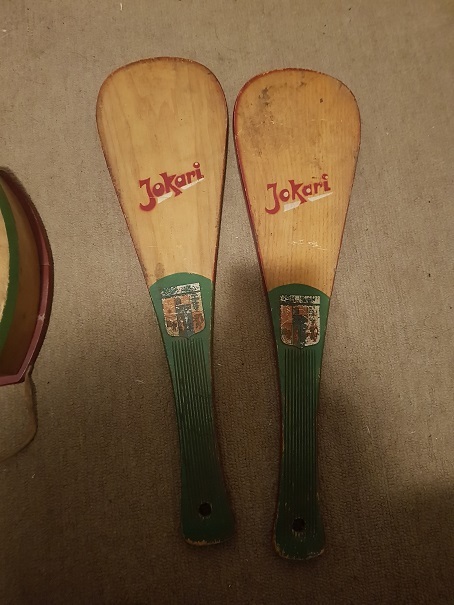 Probably from the late 1940's, it is from France and the paddles are marked: "Eskual Jokari". 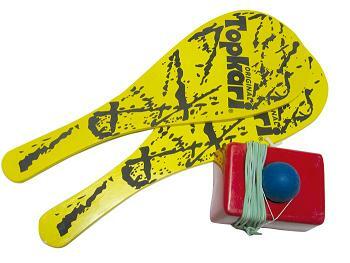 Also "La Pelote Basque sans Fronton" which translates to "The Basque ballgame without the court". "Brevete S.G.D.G." I believe is French patent notice. Likewise "Jeu et Marque deposes" I believe is some sort of trademark notice. 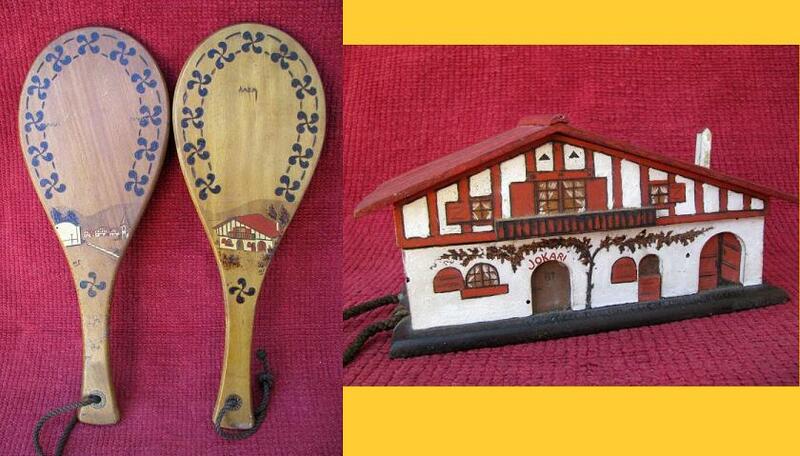 I believe this is one of the Miremont family's products. The paddles are just over 17 inches long. 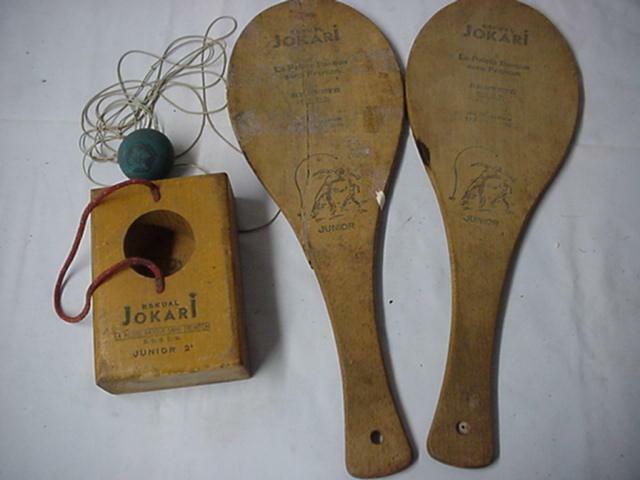 This set also appears to be rather old and is marked "Yokua Pilota" which I believe to be a Basque-language name for the game, followed by "o Jeu de Pelote", the French generic nomenclature. It also appears to have a portrait and perhaps a name, but I cannot read it. This is a really interesting looking set that I had never seen before. The French vendor sold it two days before I saw the ad. Looks like a later model than the late 40's to early 50's sets above, but still old. 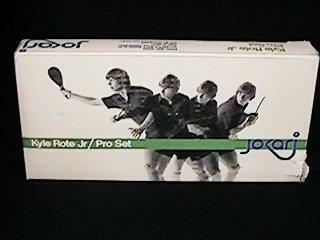 A gentleman from South Africa has sent me photographs of a full-size set similar to the junior set above. These may be the sets manufactured in South Africa when the Tilley family was involved in manufacture there in the early 1950's. Click here to see the inner workings of the folding base. 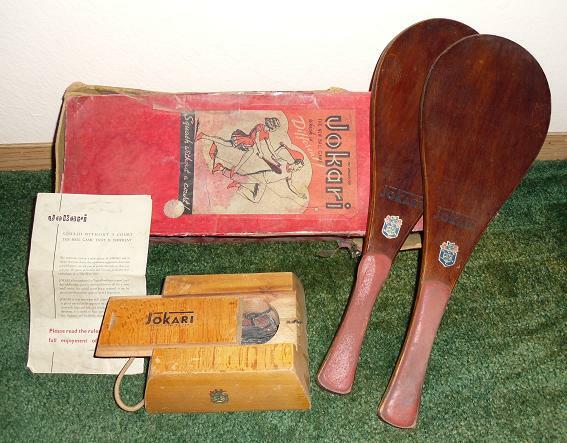 Click here to see more photographs of this extraordinary Jokari set..
Click here to see more vintage French Jokari clones and competitors. 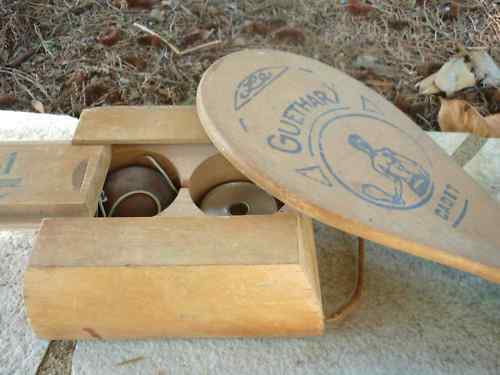 This is the "Pauline Betz Official" set sold in the United States in the early '50s. 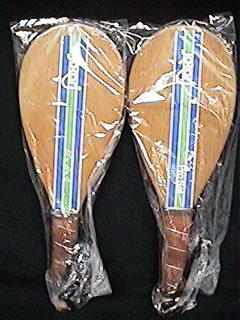 The paddles have a natural finish with red imprinting, and are just over 17 inches like the French set above. Pauline Betz won tennis's US Open in 1942, 1943, 1944, and 1946. In 1946 she also won Wimbledon, that Championship not having been played from 1940 through 1945 due to World War II. 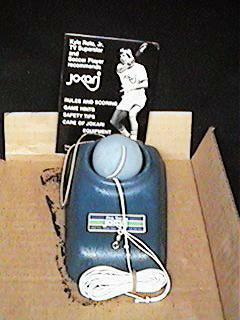 This is the "Pauline Betz" model from the same time period. 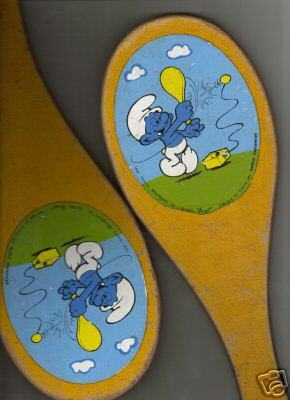 The paddles are painted bronze and imprinted in blue and again, about 17 inches. This is the regular "Pauline Betz" model which I believe came shortly after the sets above. 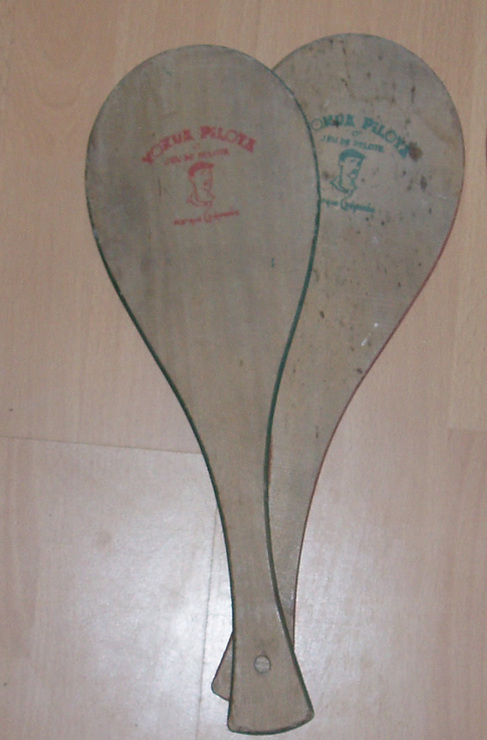 The paddles have images painted or decoupaged on them which mimic strung rackets with wrapped grips. Same size as before, 17 inches. 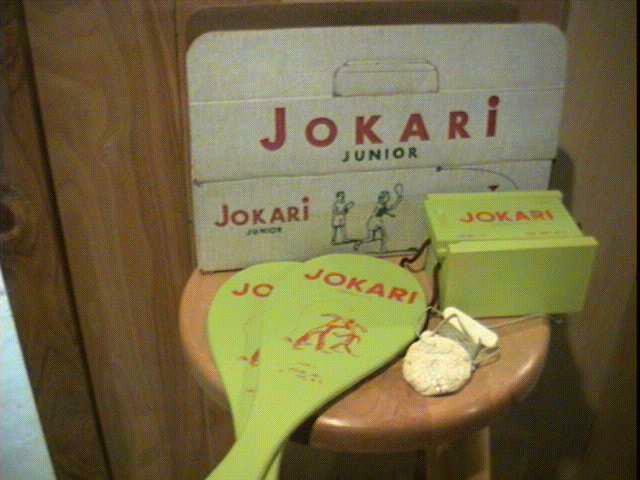 These are photos of two different sets of "Jokari Junior", made with somewhat smaller equipment for the use of children. These are apparently from the same era as the previous full-size sets. Note one of them refers to the game as "Cable Tennis". This is a set from England in the 1950's. 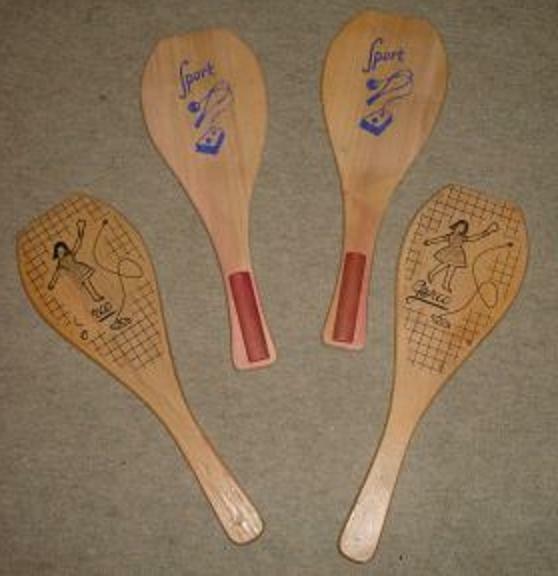 The paddles are large and solid and are of high quality manufacture. They are not shown well in the photograph below, but are attractively stained and varnished. 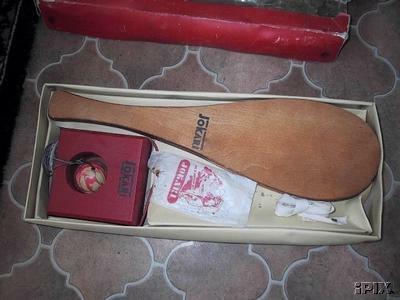 The handles are reinforced with a hard rubber-like padding on both sides. 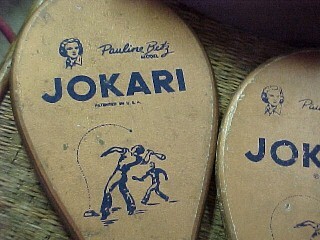 They are larger than the American sets' at just under 19 inches. Near the handle is affixed the Coat of Arms of Brighton, a town near the factory which made the set. 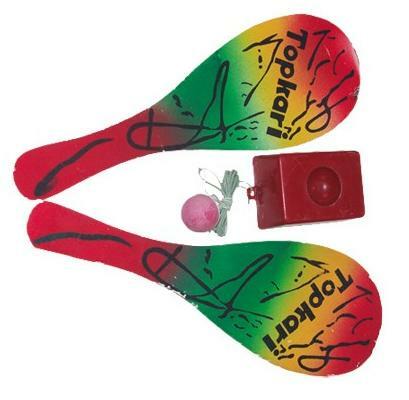 Click here for more information on Jet Ball. 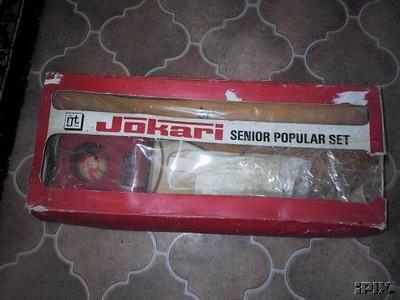 This set is probably from the 1960's. 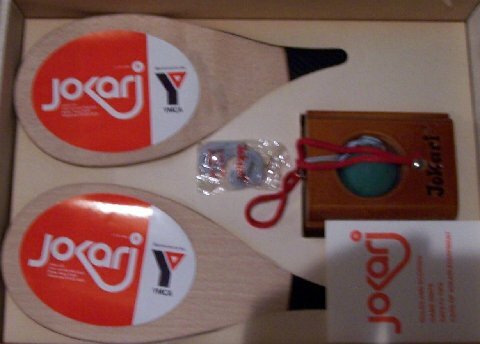 It says "Made in France" and points out that the name is pronounced yo-k�'-ree. 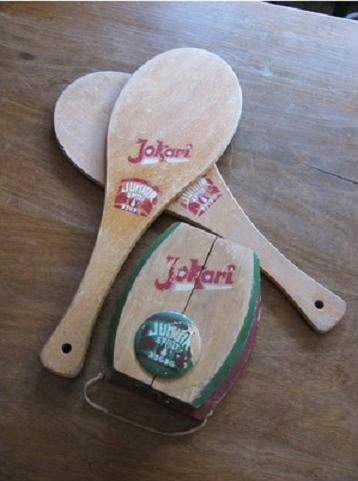 The card inside explains that the name comes from Basque games in which the server shouts "Jo" meaning that he is ready to serve, and the receiver replies "Kari" meaning he is ready to receive. The paddles are smaller than the previous sets, at about 15 inches which would become the standard for the next decade as well. Click here to see the card. This is a small, cheaply made Canadian set. Date unknown. This set is from Scotland, but I don't have much clue where or when it was manufactured. 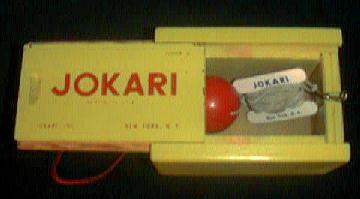 Click here to see more pictures of it and a Japanese television commercial for it. 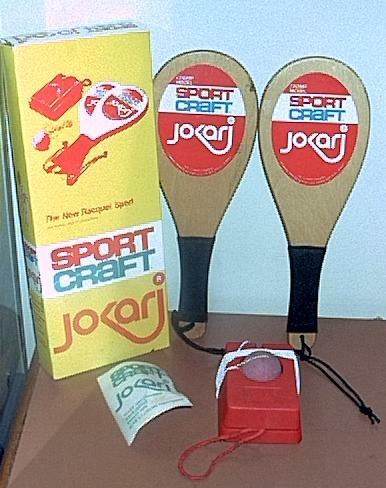 Somewhere along the line Sportcraft, a major supplier of home recreational products, got into the act. They distributed this set - I'm guessing in the 70's but no date appears on the box or the instructions. 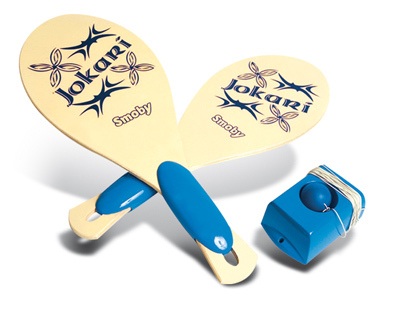 Would you believe Jokari paddles emblazoned with Smurfs playing Jokari? As far as I know, this is the latest version made (prior to 2002). 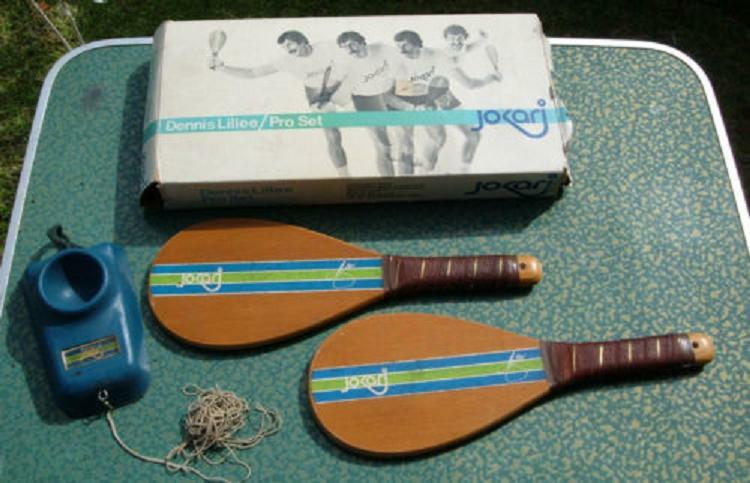 Same paddles as before, just different graphics on the box. Probably from the early 1980's. The set sold out and is no longer in production. 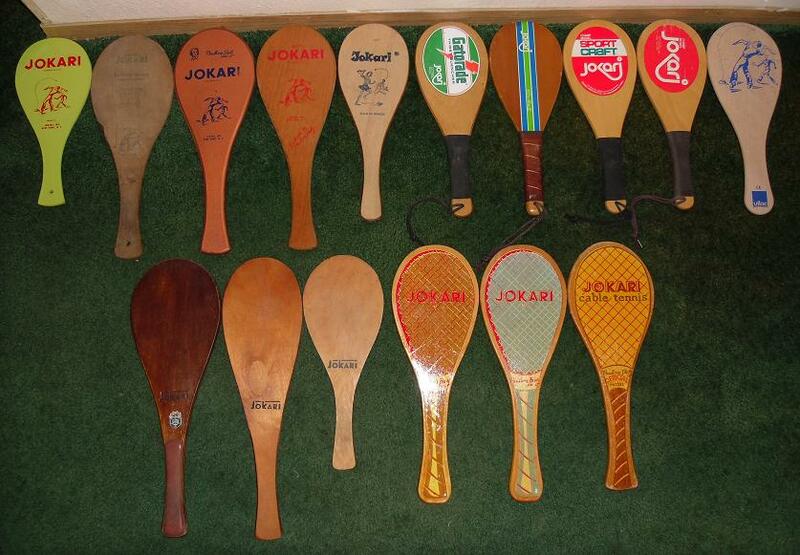 Finally, a view of an assortment of paddles through the years shown together to compare sizes and designs. 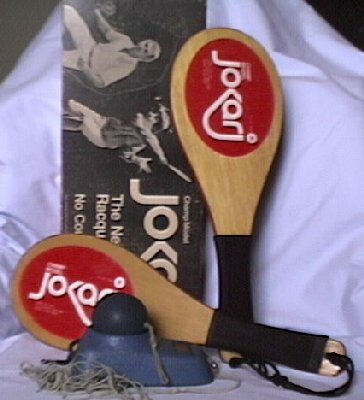 (Top row, left to right: The Jokari Junior set from the '50's, the original French set from the late '40's or early '50's, the Pauline Betz model, the Pauline Betz Official model, the French set from the '60's, the Gatorade paddle, the Kyle Rote Junior set, the Sportcraft set, the Champ Model from the '70's, and a current paddle from a set made by Vilac. Bottom, left to right: The original English Deluxe set, the regular English set, the junior English set, the Pauline Betz Model, Pauline Betz Deluxe Model, and Pauline Betz Official Model from the later '50's.) Please note that the bottom row was closer to the camera and perspective makes them appear larger compared to the top row. 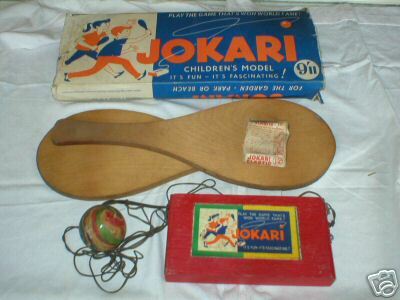 In the 1950's Jokari made a soccer training device called Kickari. 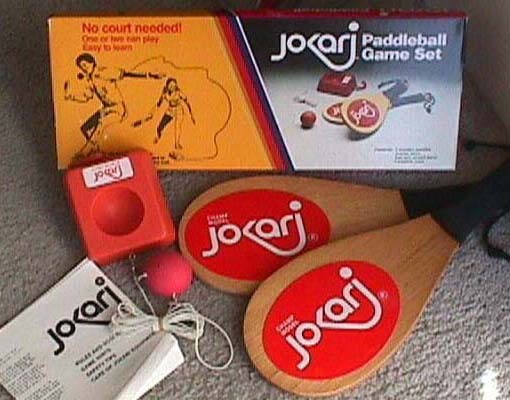 During the racquetball boom of the late '70's and early '80's Jokari sold a device called Racquetball without the Walls. 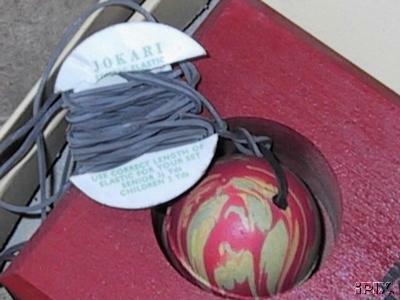 This was basically a Jokari-type base with an elastic tether attached to a racquetball. 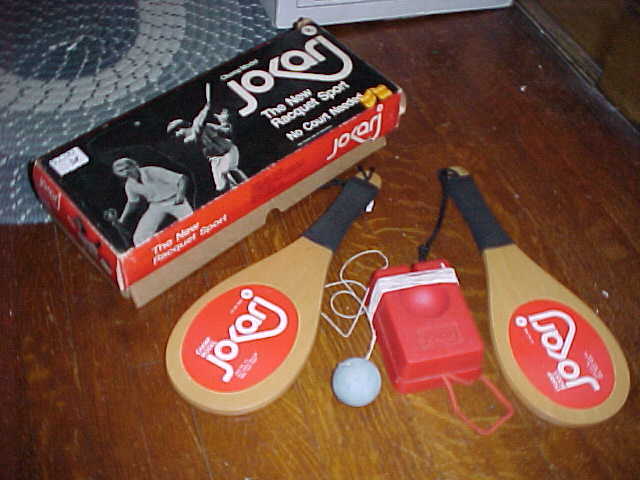 One used a racquetball racquet and played with it much like Jokari, for training purposes. 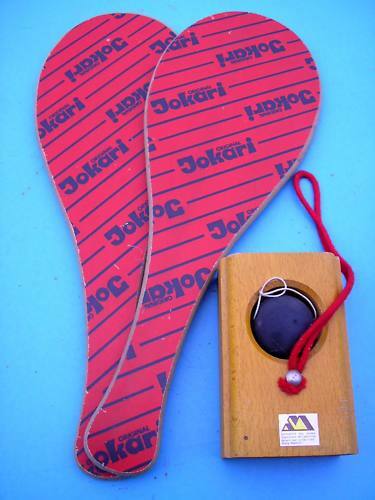 Jokari produced a paddle tennis type game called Tote Tennis. 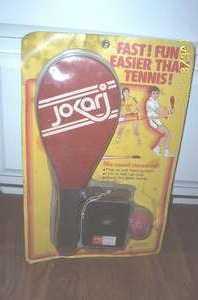 Jokari-USA sold a game in the late 70's called "Hot Tennis", sort of an indoor miniature version of Badminton using Jokari-like paddles. 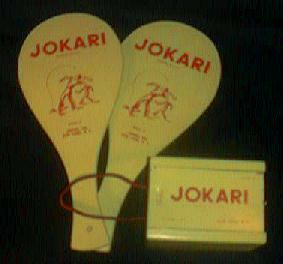 Jokari also imported tennis rackets under the Jokari brand. 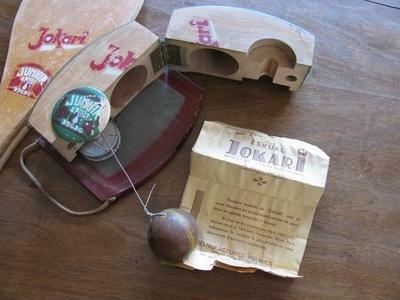 Jokari produced Soccer Croquet, a croquet-like game played with two miniature soccer balls. 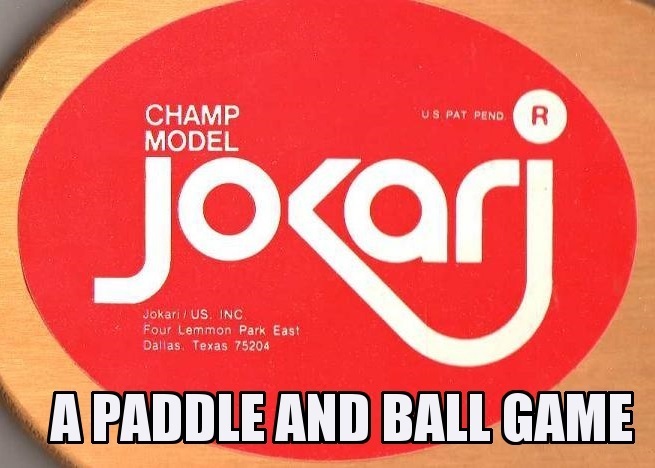 Jokari was actively promoted when it was first introduced to the U.S. in the early 1950's and again when the Texas contingent took over in the mid to late 1970's. 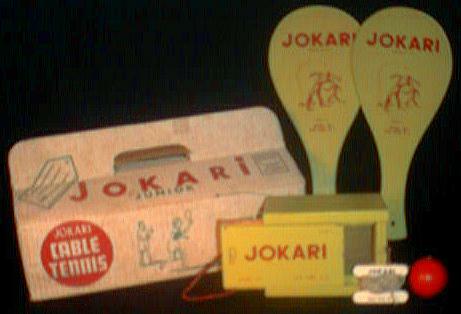 See the newspaper articles and advertisements for Jokari through the years. 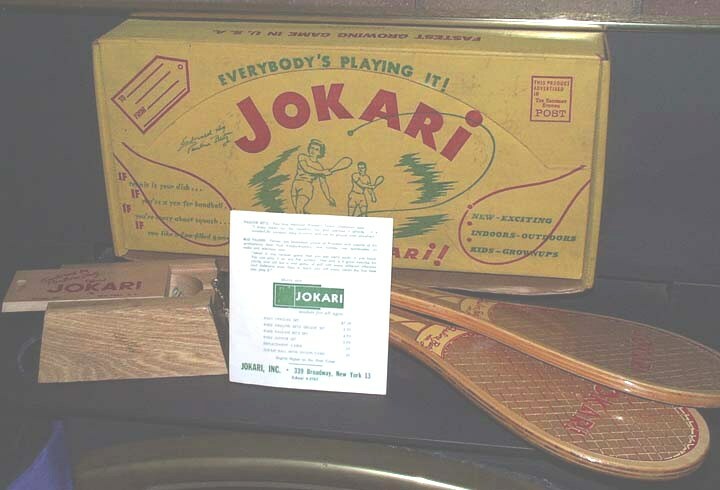 A gentleman named David Tilley wrote me informing me that his family had been involved in the manufacture of Jokari in South Africa in the '50's. Click here to read his emails to me. 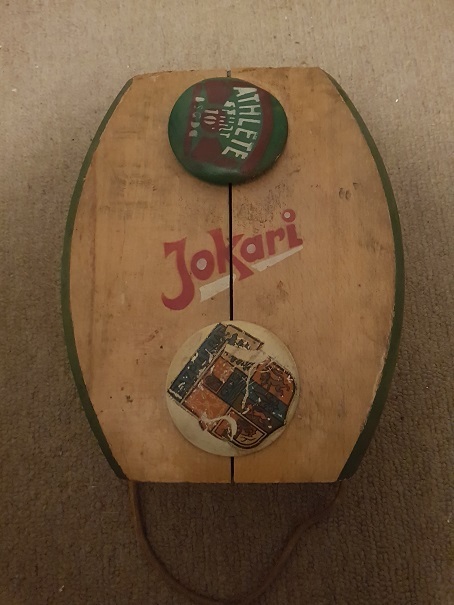 Mr. Tilley sent me a number of newspaper articles, photos, and advertisements regarding the introduction of Jokari to South Africa in the early 50's. He has consented to allow me to display the information. Click here to read about Jokari in South Africa. A Jim Brown who worked for Jokari from 1975 to 1980 wrote. 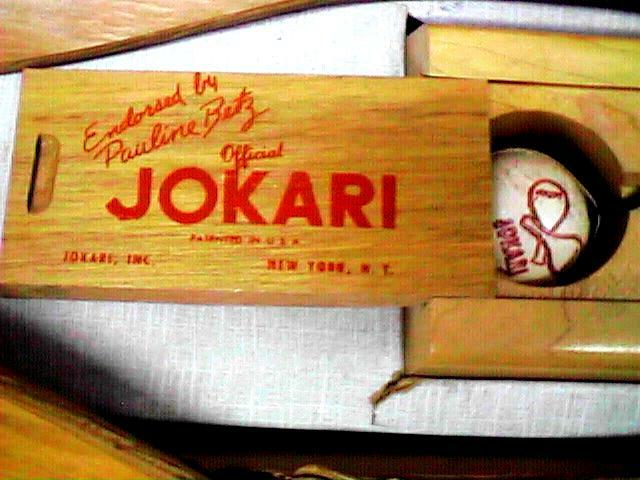 Click here to read his email with some information on Jokari/USA Inc. in the late 1970's. "TP" wrote informing me that he was the "cover model" for Hot Tennis by Jokari. Click here to read his email. "KP" wrote to tell about his childhood encounter with Kyle Rote Jr. Click here to read his email. Most of the items on this site I own at least one specimen of, in some cases more, and feel no need to hoard. 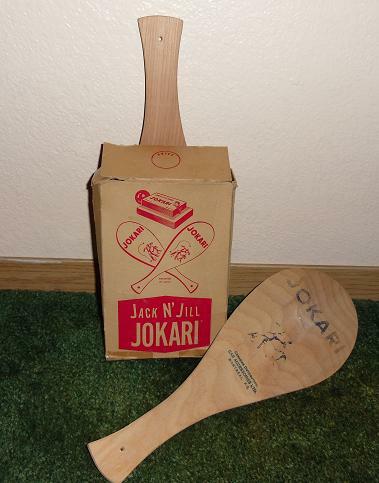 Click here to see Jokari-related items that I am interested in finding and purchasing. 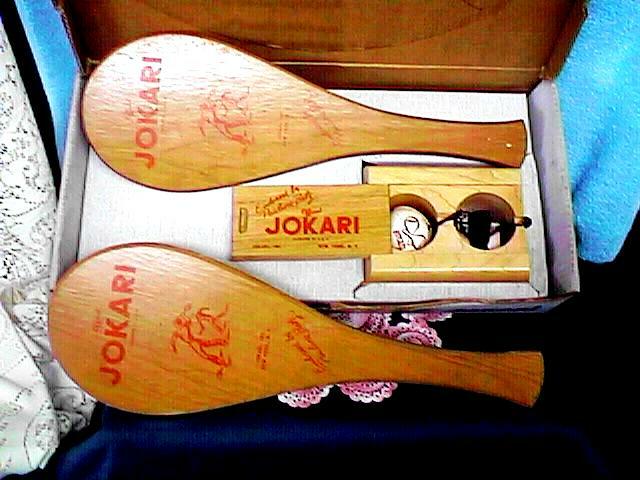 A group of players in Bilbao, Basque Country recently held the only known organized Jokari Tournaments since the 1970's. This makes their standings the de facto world Jokari ranking. See photos from their tournaments here. 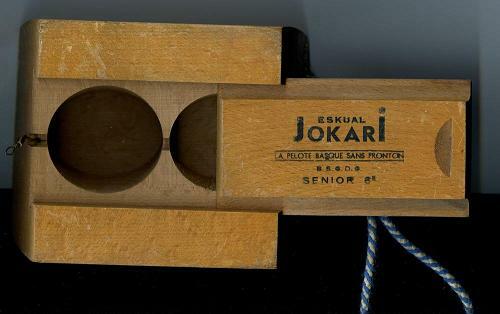 Rod Sprange's blog contains an entry with an amusing story of Jokari at the beach in England in the 1950's. 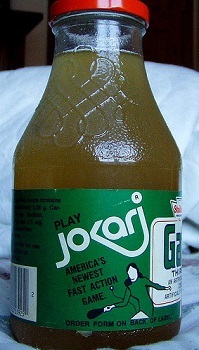 Jokari is available from many sources, mostly in its native land, France. Click here for links to vendors. A separate page with more information on Qianball is forthcoming. Copyright jokariinfo.net 1999-2019 All rights reserved.